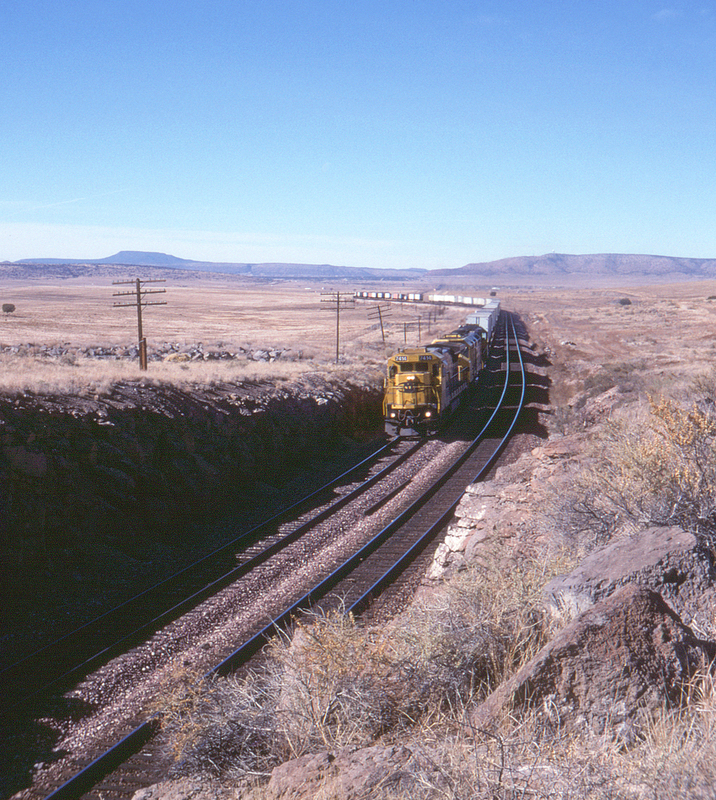 Another view from "Vista Cut," this time looking west towards Seligman, Arizona, as an eastbound freight works uphill with a load of piggyback trailers. Although the road has been Burlington Northern Santa Fe for almost a year now, this motive power appears unaffected. Seligman is barely visible as a dark patch to the right of the tracks, with Chino Point in the far distance.